Dr. Vincent Cador and Dr. Grégor Puppinck published in January 2018 a doctrinal article entitled “The conventionality of the French legal regime of religious orders” in a French journal of public law ("Review of Public Law and Political Science in France and Abroad"). Dr. Puppinck, Director General of the ECLJ, is a member of the OSCE Panel of Experts on Freedom of Religion or Belief. The article tests the French legal regime of religious orders with regard to the European Convention on Human Rights (the European Convention). This rigid legal regime, derogatory to the ordinary law on associations, is a double legacy of the French Revolution and the anticlerical policy of the early 20th century. It appears to be discordant with the process of appeasement of the relationship between Church and State since the 1970s and above all with the case-law of the European Court of Human Rights (the ECHR), protecting freedom of religion (Article 9), freedom of association (Article 11) and the principle of non-discrimination (Article 14). Dr. Cador and Dr. Puppinck explain that, in the event of a case brought before the ECHR between a religious order and the French state, “the judges of Strasbourg would likely condemn the French legal regime of religious orders, binding the government to reform it.” To reach this conclusion, the authors rely on the case-law of the ECHR and reproduce the three-step reasoning usually used by the Court to settle disputes. Firstly, they analyze French law on religious orders as an interference with the rights to freedom of religion and freedom of association. 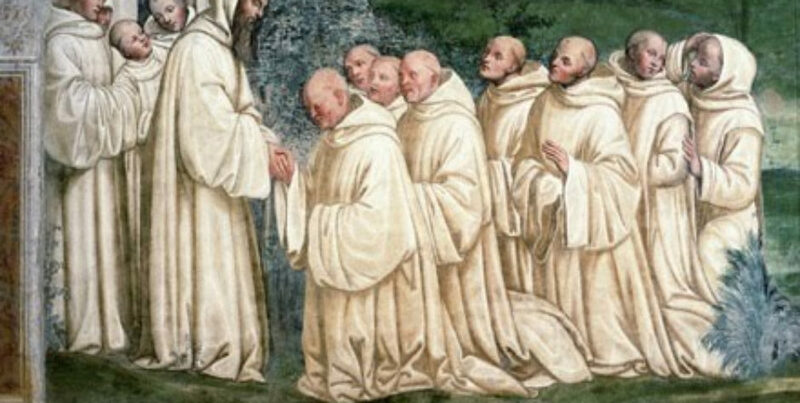 Unlike ordinary associations which are held to a mere declaration, the granting of the juridical personality for religious orders depends on a decree after assent of the French Council of State. In addition, the establishment of a religious order is subject to particularly intrusive conditions and the content of its statutes is strictly regulated. For instance, in the statutes that they must attach to their application for legal recognition, the Council of State still prohibits religious orders from mentioning the “solemn,” “perpetual” or “final” vows of their members. Once established, the religious orders are subject to strict control on their functioning by public authorities. These constraints constitute interference by the State with the freedom of religion of members of religious orders, which is exercised through their freedom of association and the autonomy of their organization. Secondly, the authors wonder whether such interference pursues one or more legitimate aims, under Articles 9 and 11 of the European Convention. The French government, by subjecting the religious orders to a derogatory legal regime, seems to consider that they would be in themselves a threat to public safety, public order, health and morals or the rights and freedoms of others. On the contrary, practice and facts prove that such a threat does not exist. In fact, it seems that the restrictions imposed on religious orders, rather than pursuing legitimate objectives, stem from the religious beliefs of the anticlerical governments of the early 20th century. However, the case-law of the ECHR excludes any assessment by the State of the legitimacy and expression of religious beliefs. Thirdly, even assuming that the interference pursues one or more legitimate aims, the authors demonstrate that it would not be “necessary in a democratic society.” In fact, less restrictive measures could be sufficient to face the potential risks generated by the existence of religious orders. The status of associations under ordinary law, if it was open to religious orders, would give sufficient and proportionate means to the State to continue to monitor their actions and to prevent possible attacks on health or rights and freedoms of others. Moreover, the Laws of July 1st, 1901 and June 12th, 2001 include provisions to dissolve an association under ordinary law in case of particular excesses. In addition to this three-step reasoning, the article shows that the derogatory and binding nature of the legal regime of religious orders amounts to discrimination on the ground of religion, under Article 14 of the European Convention. Religious orders are similar to associations under ordinary law as groups of people joining for a common purpose, and they are even closer to “religious associations” with which they share a “religious” connotation. However, the difference of treatment between those groups, in that it lacks any objective and reasonable justification, is discriminatory. This discrimination weighs mainly on a particular religion, namely the Catholic Church, as shown by the decree still in force of August 16th, 1901. In fact, it indicates that the application for legal recognition of a religious order must include a statement by which “the bishop of the diocese commits to take the religious order and its members under his jurisdiction” (Article 20). The fact that representatives of one religion are mentioned underlines the desire to discriminate against Catholics. Although the legal status under Title III of the 1901 Law has recently been extended to orders of other religions, it is primarily aimed at Catholics, and the vast majority of recognized religious orders are in fact Catholic orders. The legal regime of religious orders thus reveals religious discrimination in the exercise of the rights to freedom of association and freedom of religion. The legal status of religious orders is not the only legacy of French history that raises difficulties with respect to freedom of religion as protected by the European Convention. For example, it is also the case of the prohibition for members of religious orders to teach in the public elementary schools since the Goblet Law of October 30th, 1886. Indeed, the French Code of education still states that “In public elementary schools, teaching is exclusively entrusted to lay staff” (Article L 141-5). This exclusion of members of religious orders from a profession may also be considered, in light of the case-law of the ECHR, as discrimination on the ground of religion. Dr. Cador and Dr. Puppinck highly regard the evolution of recent decades in favor of freedom of religion in France. They call for taking advantage of this less confrontational context to further protect this freedom, in accordance with the case-law of the ECHR. In particular, according to them, it would be wise and appropriate to ensure a smooth change of the French legal regime of religious orders, before a possible condemnation by the ECHR. Conseil d’État, Études et documents, rapport public 1990, n° 42, La Documentation française, Paris, 1991, p. 83.